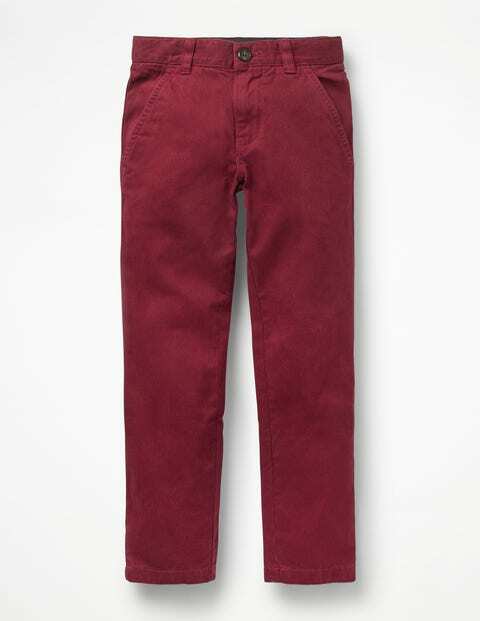 These slim-fit, 100% cotton chinos are almost as unique as you are. That's because of the garment-dyed process, which gives them an authentic vintage finish. There's even a belt loop at the back in red, white and blue (how very British). They'll keep you looking sharp from breakfast to bedtime.